Survivor: Game Changers Final Exit Interviews – Spoilers! A season of Survivor called “Game Changers” had a lot to live up to, but it delivered on all accounts. Wednesday night saw Season 34 come to a close with four Tribal Councils that whittled down the remaining six contestants to just one…the Sole Survivor and winner of the million dollar prize. It was a dramatic ending to what has been a crazy season, and I had the chance to speak with all six of the Final Six players in the game heading into the Finale, including the winner. But before we proceed, you know the drill: Make sure only to read on if you have seen this week’s episode, as spoilers are to follow! Turn back now! If you want to get caught up, be sure to check out the Finale Episode Recap here. Survivor Finale Preview: Who Will Win Survivor: Game Changers? That’s pretty much the question isn’t it? Tonight, the 34th (!!!) season of Survivor – the world’s greatest Reality Competition TV Show – will come to a close, where one of the six remaining “game changers” will be crowned the Sole Survivor and win a million dollars. Like we have grown accustomed to, tonight we will be treated with a two-hour finale episode, followed by the one-hour live reunion show, where hopefully Sia doesn’t show up this year. And boy oh boy is there a lot of game still to be played. 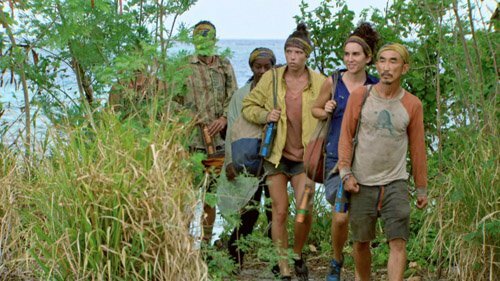 Not only are we down to six people, but there are still three Immunity Idols and the “Legacy Advantage” still in play heading into tonight. Get strapped in and ready, because we’re about to break down the chances of the remaining players left in the game and get you set for tonight’s big finish. Well holy crap, that just happened! It was a rushed, whiz-bang episode of Survivor, featuring not one, but two Tribal Councils. Oh yeah, and it was also the last regular episode of the season before next week’s two-hour finale. The first Tribal of the evening was fairly straight-forward, but if you are like me, that last one left my head spinning. Let’s get to the bottom of what went down. Be sure to read the fine print, as this week’s recap is non-transferable and can’t be stolen. Please only proceed if you have seen Episode 13 of Survivor: Game Changers. And while we WILL hit on all of the important developments, remember that this is more of a discussion and analysis and not a blow-by-blow account of how the episode played out. Exclusive Interview with the FIFTH Member Of The Survivor: Game Changers Jury – Spoilers! 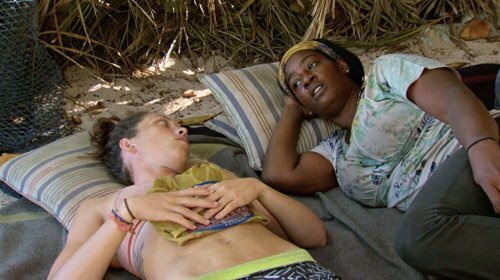 It’s the home-stretch on Survivor: Game Changers, as we are nearing the point in the game where there are more players on the jury than left in the game. On this week’s Episode 12, the jury grew by one once again, leaving just eight players remaining in the game with only (gasp!) two episodes left this season. I had the chance to chat with the most recent person voted out of the game. Caution, as spoilers from this week’s episode are to follow! Turn back now! If you want to get caught up, be sure to check out the Episode 12 Recap here. Exclusive Interview With The THIRD Member Of The Survivor: Game Changers Jury – Spoilers! The Survivor Jury has grown by one, and soon it will outnumber those still standing in the game. 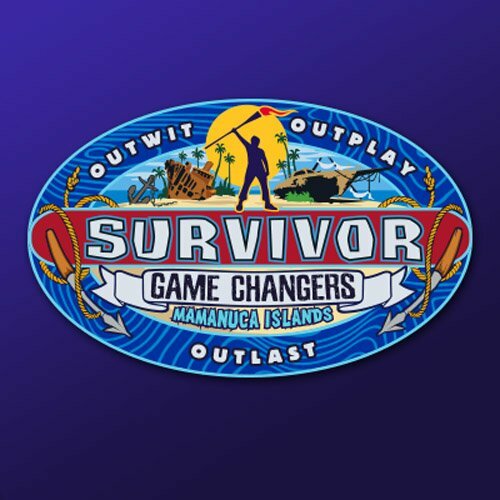 As we enter the final month of Season 34, we said good-bye – or good riddance, if you prefer – to yet another “Game Changer” as we barrel towards the May 24 Finale of Survivor: Game Changers. Caution, as spoilers from this week’s episode are to follow! Turn back now! If you want to get caught up, be sure to check out the Episode 10 Recap here. Exclusive Interviews with the TWO Survivor: Game Changers Voted Out Last Night – Spoilers! After the weightiness of last week’s emotional episode, Survivor gave us two scoops of fun this week, with a double-episode that did not disappoint. We witnessed the merge and we got to see a number of players jockeying for position in the game, now that the end is in sight. But a double-episode meant that we said good-bye to not one, but two players this week, both of whom will join the Survivor Jury and will cast a vote for this season’s Sole Survivor. I chatted with them both coming up. Caution, as spoilers from this week’s episode are to follow! Turn back now! If you want to get caught up, be sure to check out the Latest Recap here. Exclusive Interview With The Survivor: Game Changers Contestant Voted Out Of Episode 6 – Spoilers! It was a different kind of episode this week on Survivor, one that grabbed national headlines outside the realm of Reality TV sites. The line between real-life and “the game” was crossed unlike ever before and one player was given one of the most shameful exits in the history of the show. Caution, as spoilers from this week’s episode are to follow! Turn back now! If you want to get caught up, be sure to check out the Episode 6 Recap here.